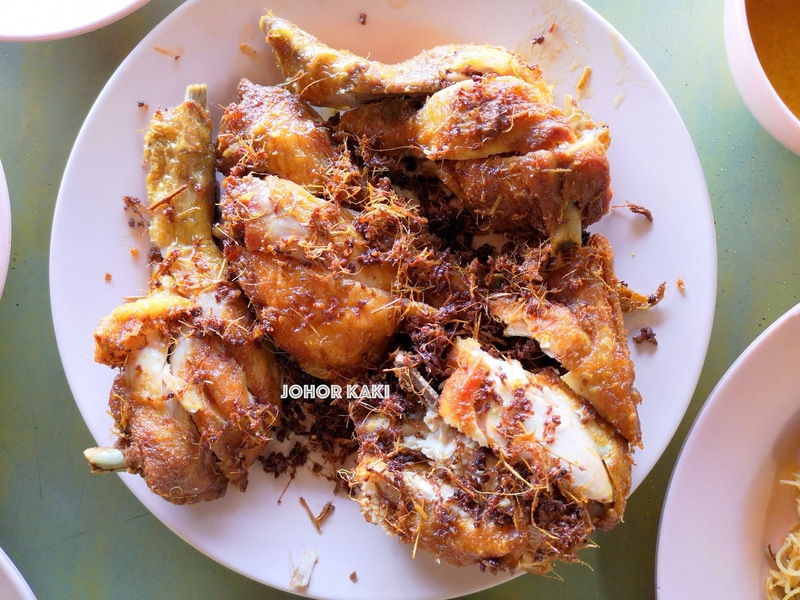 Today, we visited Ayam Goreng Dapur Kayu along Jalan Petaling Larkin at Taman Tampoi Industries. 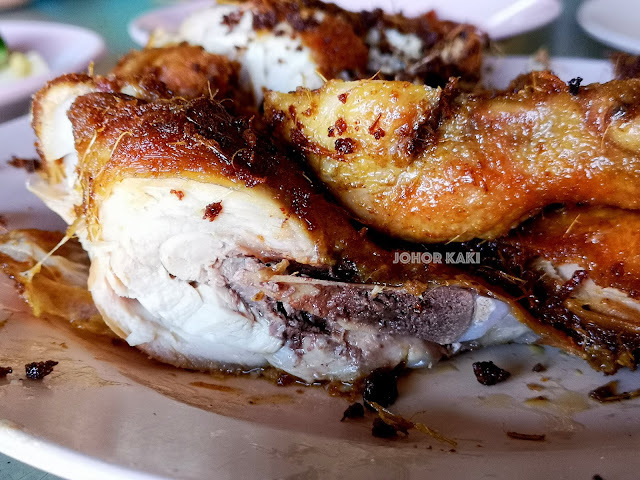 It is Malay style deep fried chicken cooked over wood fire. Ayam Goreng Dapur Kayu is a little food stall in this small public hawker centre along Jalan Petaling Larkin in Taman Tampoi Industries. 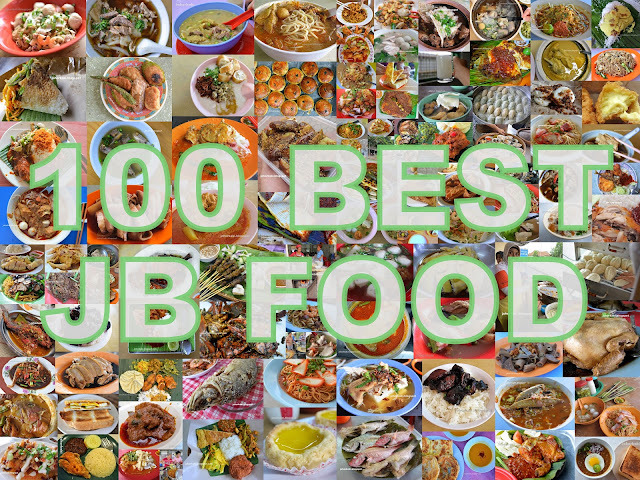 This hawker centre is popular with workers working in the many factories around here. 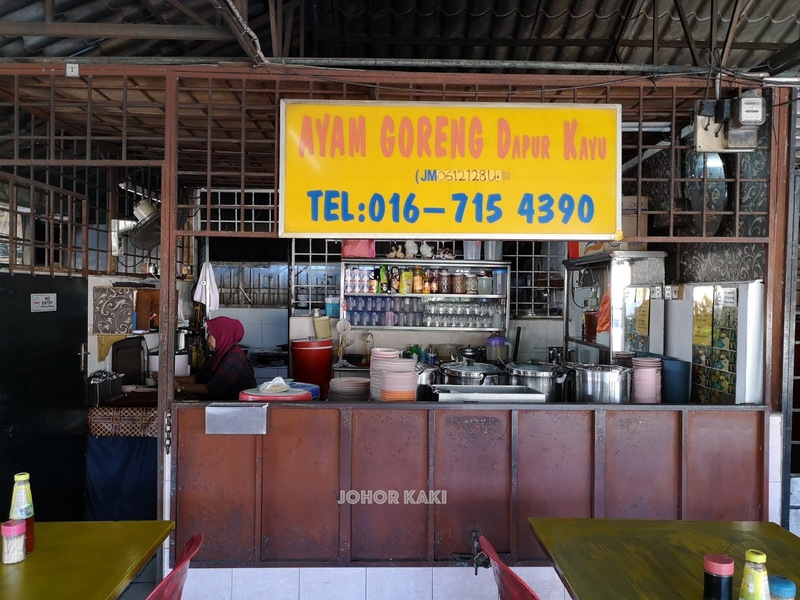 There are about 10 stalls at the hawker centre - Ayam Goreng Dapur Kayu is a corner stall. 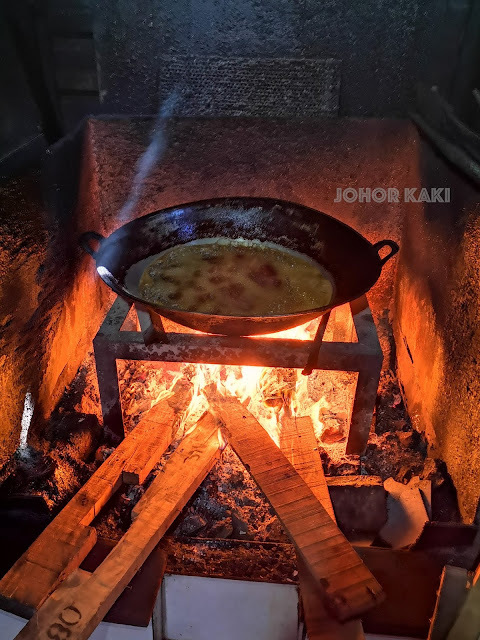 What sets Ayam Goreng Dapur Kayu apart is they still cook their deep fried chicken with wood fire. 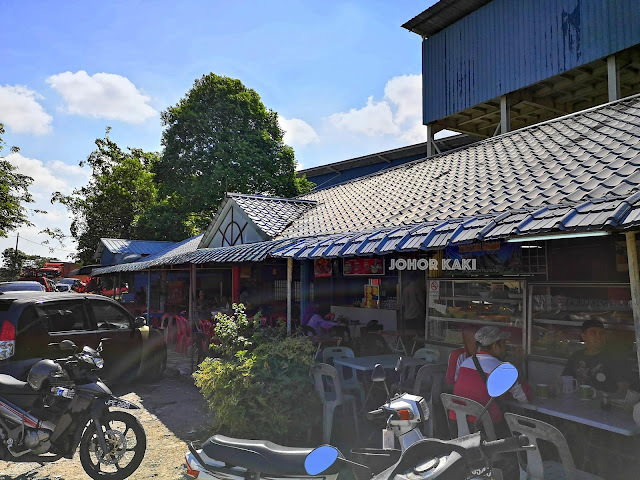 When Kak Nor's parents started the stall about 40 years ago, there was no paved road and therefore no gas delivery to this area. So, they had to use wood fire to cook. 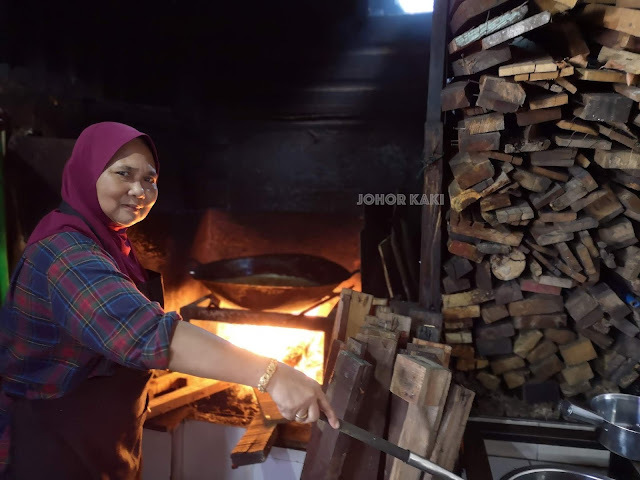 Kak Nor continued using wood to cook even after the road and hawker centre were built. Wood fire cooked food tastes better she said. 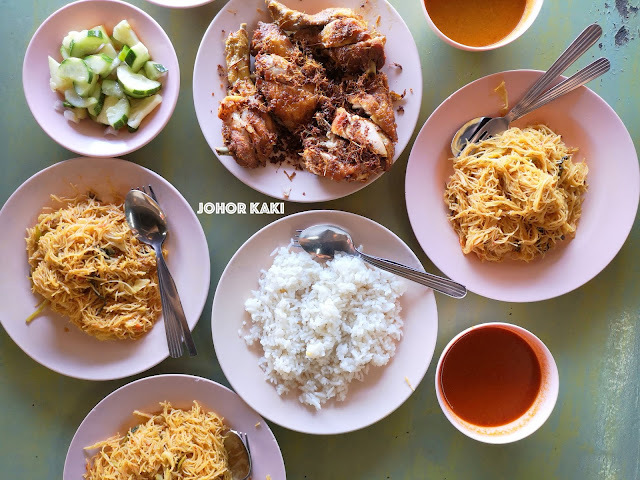 Four of us, we had a piece of fried chicken each, nasi lemak, fried bee hoon and tea (teh). Everything came to RM32. 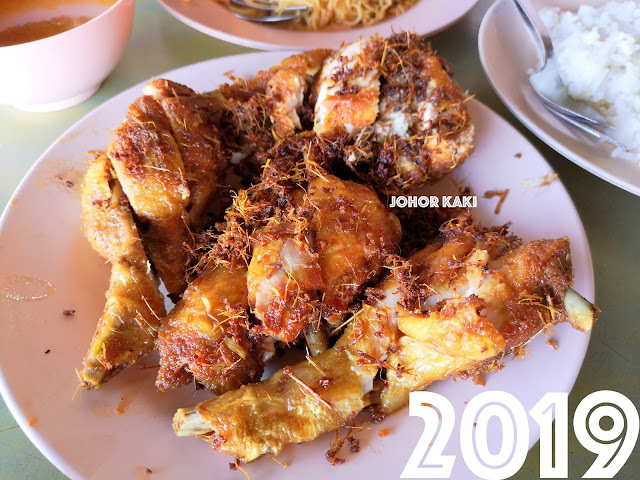 Kak Nor's fried chicken was indeed nice - the taste and smell of spices and herbs were prominent. The chicken meat was tender and juicy with a slight crisp outside. 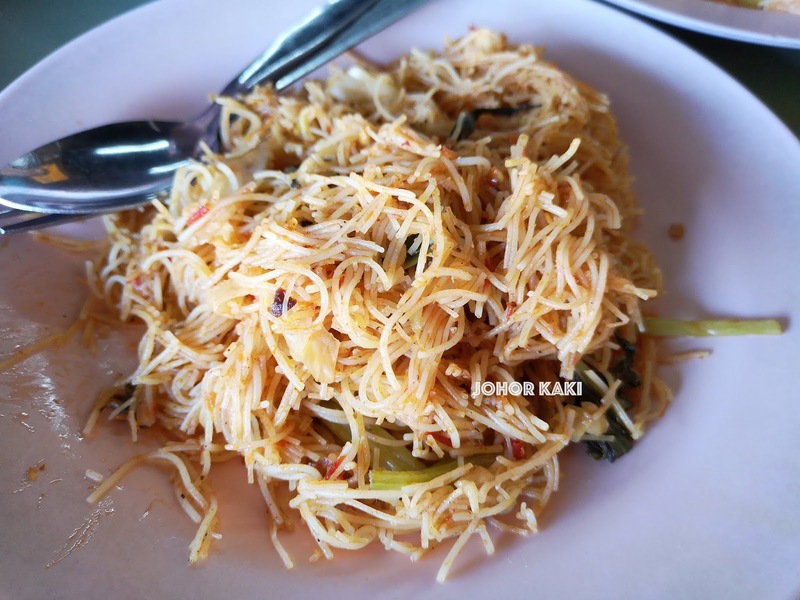 I like the sambal tumis too as it had a nice blend of sourish, spicy and savoury taste. The asam pedas and curry they served us were tasty too. We didn't enjoy the mee hoon goreng as much, as it was relatively moist and there wasn't much flavour of any kind. The nasi lemak was also average as it was moist and the smell and aroma of coconut milk was weak. Information for you 👉 Kak Nor's delicious fried chicken alone is enough for me to come back to Ayam Goreng Dapur Kayu. 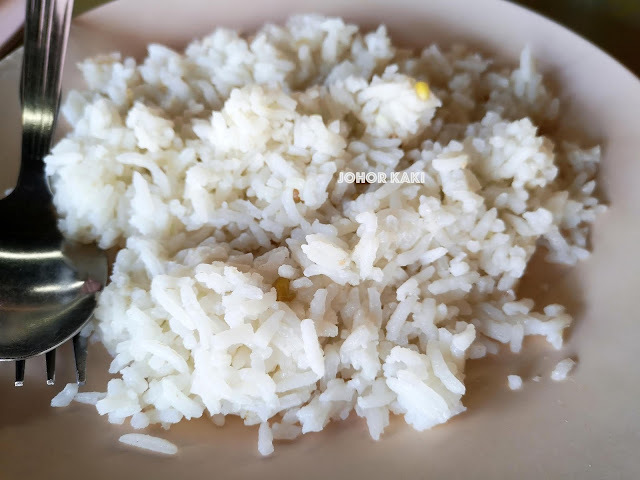 Together with the coconut milk rice and sambal chili, they make a good nasi lemak set (though the rice was just average). I enjoyed the street side public hawker centre ambiance and appreciate it that Kak Nor still cooks with wood fire. 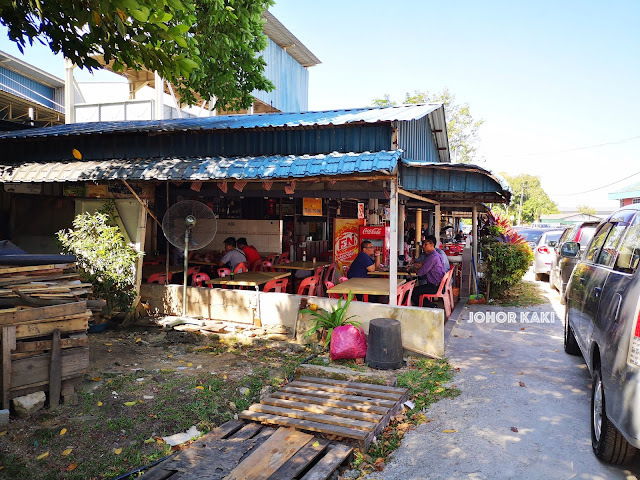 Not sure if fire wood changes the taste of the food, but it certainly sets Kak Nor's stall apart as it had the rustic nostalgic charm. 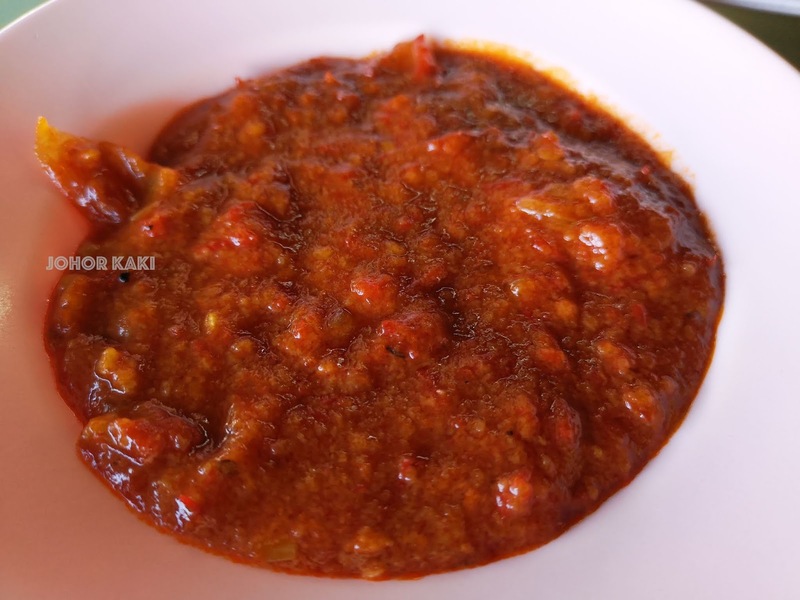 The assam pedas curry is enough for you to finish a whole plateful of rice.